Plimmerton had its own Post Office for nearly 100 years. It was first at Plimmerton House, from 1894, and then at the General Store before premises were bought on this site in 1923. A new Post Office built here in 1973, closed in 1990. It became a Baptist Church and is now a private residence. Prior to 1894, Plimmerton people used the Paremata Post Office, which had been established in 1883. In early 1894 local residents and regular visitors to Plimmerton House petitioned for their own post office. In September, Charles Plimmer, the Manager of Plimmer House, took over the duties of postmaster, unpaid for the first year but then salaried £4 pa. In December 1896, he also took on the role of telephonist when a telephone office and bureau for toll calls opened. From January 1897, the post office operated as part of the first general store with storekeeper, Mrs Mary Ann Johnson, appointed as postmaster/telephonist. This only lasted a couple of months before the telephone office closed. It was reopened again in November (presumably for the Summer Season) with Miss Emily Katherine Wilson as postmaster/telephonist. She held the position for five months until another storekeeper Thomas McKinley took over for a couple of years until 1900. Donald and Catherine Robertson then looked after the role for 13 years, with salary increased to £33 pa. They called their store ‘Post Office Store’. Two other storekeepers followed for brief stints until William Martin took charge from 1915 -1923. Major change occurred in November 1923 when the post office moved to the current site, to what had previously been Miss Aston’s fruit shop in Steyne Ave. The property was acquired under the Public Works Act for permanent premises and Mr E Batten appointed as the first permanent postmaster. The first manual telephone exchange opened a month later with 20 residents subscribing. Over the years, the hours for this service were gradually increased from the original Monday to Saturday 9.00 am to 5.00 pm. By 1954, the number of subscribers reached almost 600 and the hours were again increased to give continuous service. By then however the Plimmerton Residents’ Association was asking for an automatic exchange and that opened with about 800 subscribers in December 1959, almost exactly 36 years after the opening of the manual exchange. 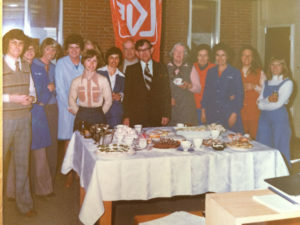 In 1973, a new, modern, purpose-built post office building opened on the Steyne Ave site. A site in Beach Road on land designated as Commercial and part of the shopping area had been preferred but negotiations with the owner of the land were unsuccessful. Battles with town planning bureaucracy ensued but eventually it was agreed that the new building would be on the existing site, despite it being zoned as a residential area. 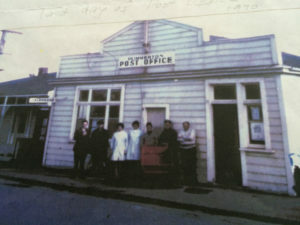 With the advent of the internet, emails and other electronic connections, postal mail steadily decreased and in July 1990 the Plimmerton Post Office closed. It was replaced by one at Mana which has subsequently been downsized to function as part of another business. Full circle in not quite 100 years. For about 20 years from 1990, this building was owned and used by the Baptist Church. It is now a private residence. of New Zealand Ltd (Telecom), Head Office Wellington, Archives New Zealand.